A sixth national championship, or a first. A redemption story for 10 players in baby blue, or a validation of 18 years of building. 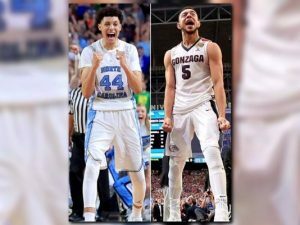 No matter the outcome of tonight’s national title game between UNC and Gonzaga, it will be a historic game that is sure to deliver on excitement. The Tar Heels will take the floor for it’s 11th national title game, the second most by a program in history, and it’s second appearance in a row. For Gonzaga, it will just be it’s first. UNC knows it belongs. The Blue Blood school, one of the most storied programs in history. ACC powerhouse and home of legends. 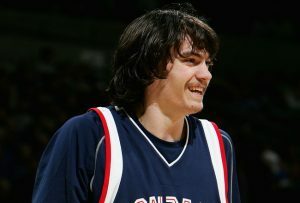 Gonzaga however is often pitied or not taken seriously, looked down upon due to their West Coast Conference affiliation and remembered purely for Adam Morrison’s mustache. Do not allow Gonzaga’s reputation fool you, this is not your run of the mill Bulldogs team. Gonzaga in the Sweet 16, that is about what everyone fully expects year in and year out. A solid mid major school that can hold it’s own in the tournament but always collapses to tougher competition come crunch time. No this team is much different, with veteran stars in Williams-Goss and Karnowski, plus budding freshmen like big man Zach Collins. Mark Few, in his 18th season at Gonzaga which is a tremendous feat on it’s own, has been building towards this moment his whole career garnering respect for his program year in and year out. Whether you embrace or resist the idea of Gonzaga being a legit contender, you can’t deny that 37 wins is a heck of an accomplishment. If it was so easy, we’d see it far more often. Carolina has been one of the most sound and perfect teams in recent memory. Run by a top notch point guard in Joel Berry II, anchored by Kennedy Meeks in the low post, and flanked by a finesse player in Justin Jackson and an athletic slasher in Theo Pinson, it’s easy to see what has gotten the Heels to this point. Even as someone like myself who allows his opposition of UNC to be known, it’s hard to have a problem with this Carolina team. They are tight knit, they seem personable, and Daggum’ Roy has just got so stinkin’ funny in his old age. God bless that man, he is a treasure. So don’t let tonight’s game discourage you because you wanted to see the Heels in a rematch vs Villanova, or maybe an epic game with Duke. Carolina vs Gonzaga will live up to the hype. Old money vs New Wealth. UNC is a 1.5 point favorite on the Vegas books, but KenPom has the Heels as a four point underdog. The sports world is unsure of what will happen tonight, that is what makes it beautiful. Two big things to watch for tonight, matchup specific. Justin Jackson. What will Gonzaga do with him? Jackson’s role is clear going into this one. Ultra involved on the offensive end, and squaring off with the oppositions top scoring threat. We saw Jackson dominate both Kentucky’s Malik Monk and Oregon’s Dillon Brooks. Tonight he will get Gonzaga’s do-it-all guard Nigel Williams-Goss. Even while spending the majority of the night being shadowed by South Carolina’s elite defender Sindarious Thornwell, Goss still went for 23 in the national semifinal. Goss has a speed and strength advantage over Jackson, but the range of Jackson pooled with the defensive IQ he has shown lately is going to make for a terrific matchup between the two. Williams-Goss will most likely be on Jackson going the other way, but don’t be surprised to see a bit more of a rotation. Goss is giving up about 5 inches to Jackson, and will need some help inside if Jackson wants to work it that way. Someone of that size should not be able to move like that. In a basketball age that has shifted so much to stretch forwards, up tempo offense, and small lineups, UNC and Gonzaga have both centered their offenses around OG throwback centers. Clearly it has worked. The walls of the University of Phoenix Stadium will be shaking tonight as these two ogres lay waste against each other. Think King Kong vs T-Rex. Except they are both King Kong…and they are both the T-Rex. Meeks will have his hands full trying to contain Karnowski, who Mark Few knows has to be the focal point for his team offensively. Plenty of help defense from Isiah Hicks and Tony Bradley Jr. will be crucial for Meeks. But this is an opportunity for the big man to continue to make a strong case for himself as a legitimate player on the next level. Meeks showed the ability to lock down bigger and more athletic players when he did it against Kentucky’s Bam Adebayo. The opportunity to showcase himself is not lost on Meeks. Karnowski will still get his numbers, but they won’t come easy, and Meeks will be able to take advantage of the slower Karnowski on the other end. Keep an eye out for Gonzaga freshman Zach Collins. The lanky seven footer has become more and more heavily involved for the Zags in the tournament. 14 points, 13 boards and 6 blocks in Saturday’s game against the Gamecocks has placed Collins squarely into UNC’s gameplan. While both teams have marvelous guard play and back courts, this game will be won or lost in the low post. UNC is looking to wipe away the memory from last year, and Gonzaga is looking to put it’s first notch in it’s belt as it fights to be taken seriously. This game features two teams that could not match up much more evenly across every position, including coaching. Mark Few and Roy Williams have a long standing friendship which includes a trip to a Mississippi Casino during the 2009 NCAA tournament. The two coaches have immense respect for each other, but with that comes more intensity. Fire up the grill, order some Table Takeout, whatever you do to get yourself ready. To the Carolina fan, whatever you did for last years game, do it completely differently. Because that didn’t work.